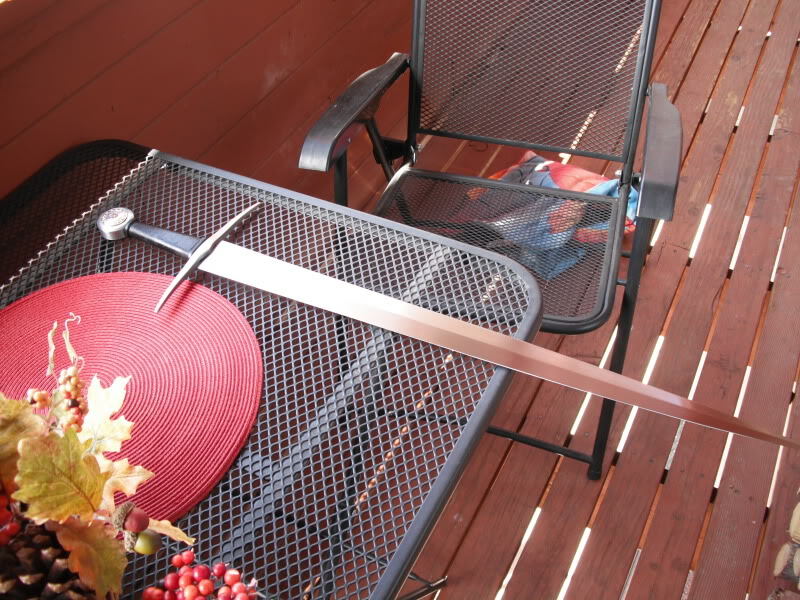 Your Valkyrja is very beautiful in that photo, and the Anglo-Saxon sword nicely accompanies it, as does the wood table. 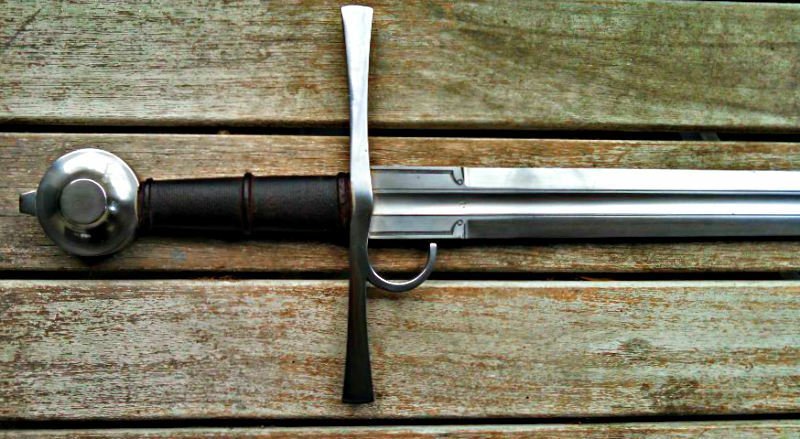 There's one for sale right now on the myArmoury marketplace. Thanks, Craig. And good luck following up J.D. 's lead, Ed! Here are a few pics I had handy on ImageShack. It would have been different if he had some armor on. Definitely so, even ice armor. Thanks for the reminder. 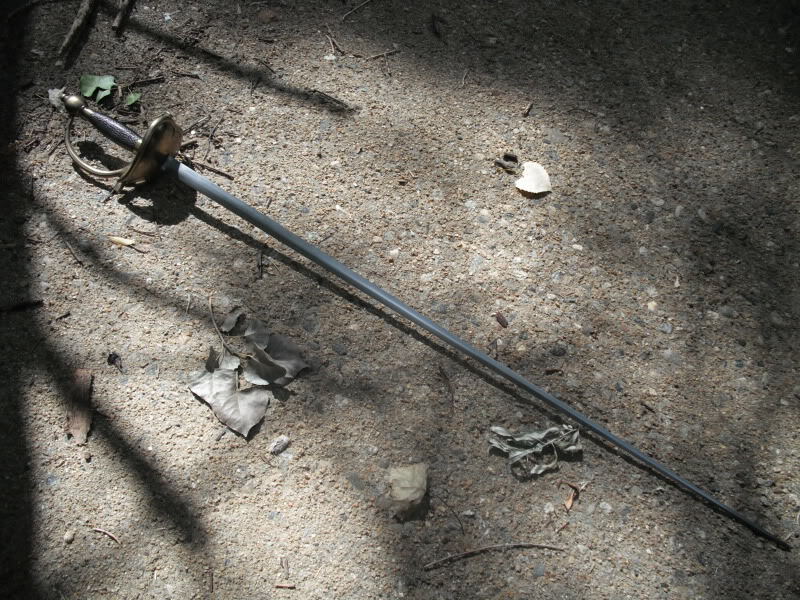 I need some bodkin-tipped arrows. No, he was terrified of my prowess with the bow. It was as if he was frozen in his tracks. Mike, please tell us about the ATrim XIIIb. 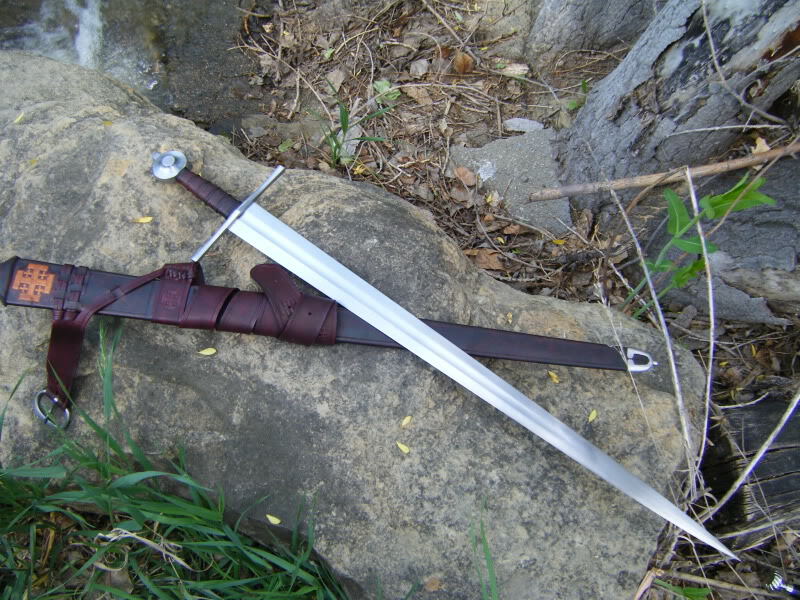 It looks a lot like an AT1326 with a shorter hilt. 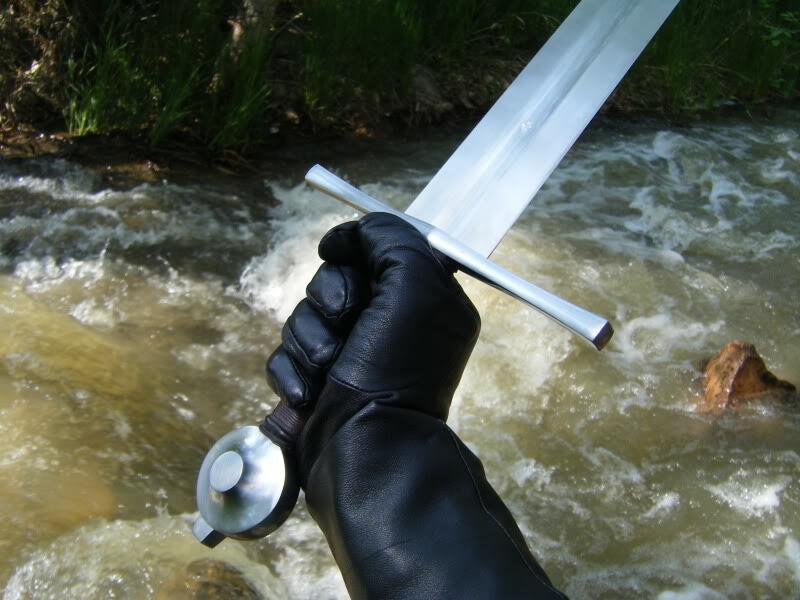 Roger, that's because it's an AT1326 with a 4" grip. 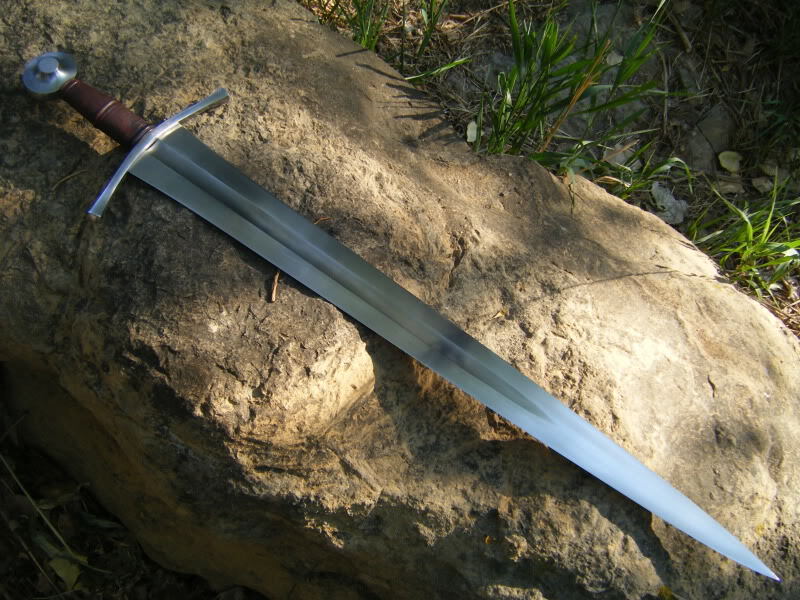 It has a different guard and pommel chosen to maintain harmonic balance and proper function. Gus did the cut-down job on the tang and selected the components for me. 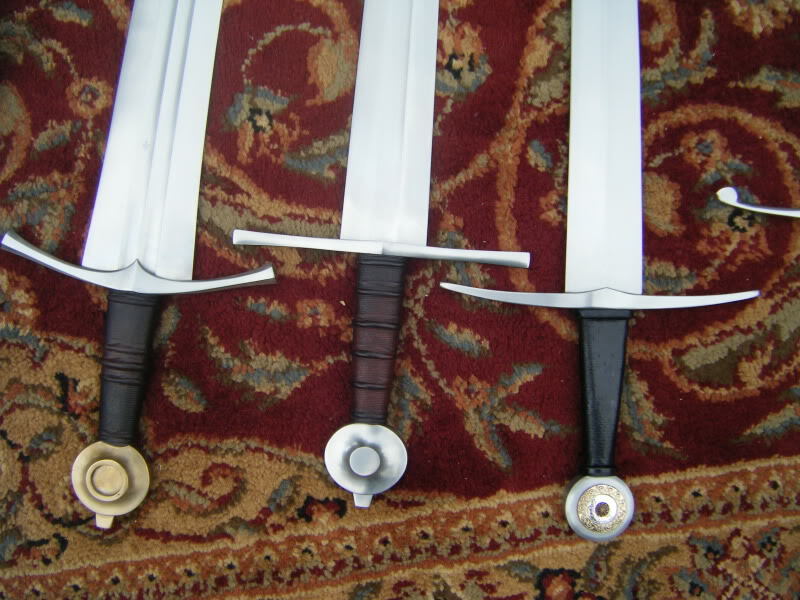 He sent me the guard and pommel in semi-finished and semi-inletted condition so I could "press-fit" them in a more historic fashion and permanently assemble the whole package. I wouldn't say it's an optimal Type XIII. It's a bit heavy. 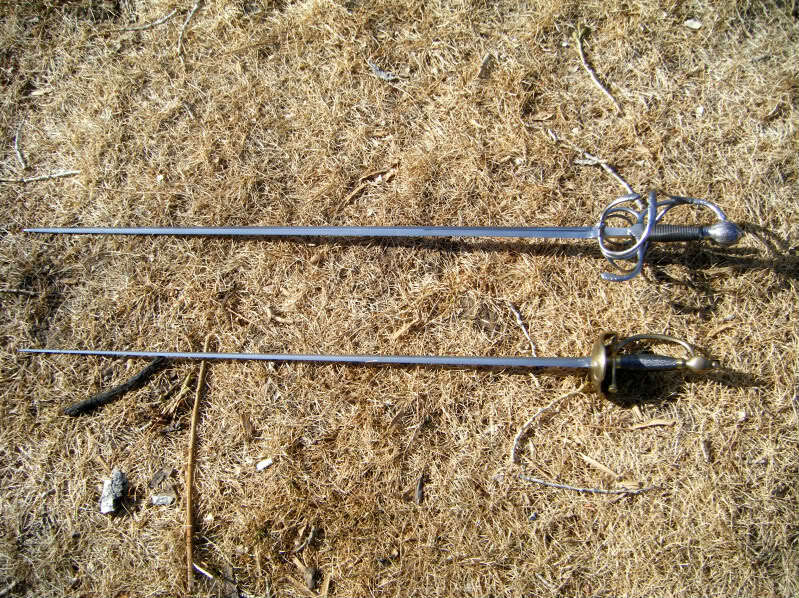 But the handling is spot-on for a shield splitter and helmet basher. It handles and turns nicely and maybe functions a slight bit better than the original DD1404 "Moonbrand" he did way back. 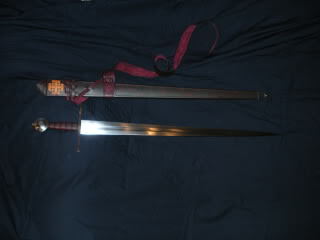 Here are pictures of the single handers that I have owned or currently owned. The one I let get away. If you still have her Zach and ever want to let her go let me know! 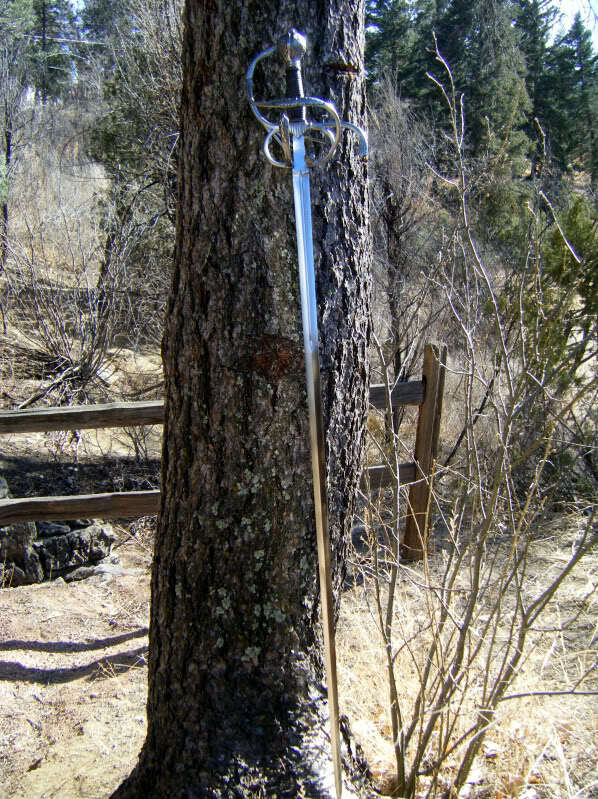 I do indeed still have the Squire with Dan Dickinson scabbard, Scott. I feel for you, since she is my absolute favorite single-hander I've come across. 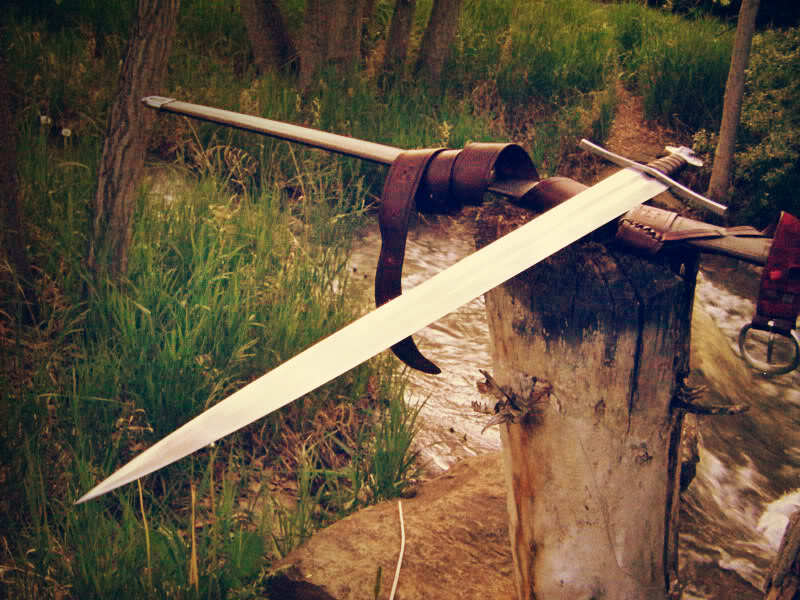 If I ever think my time with this sword is up, you will be the very first to know. 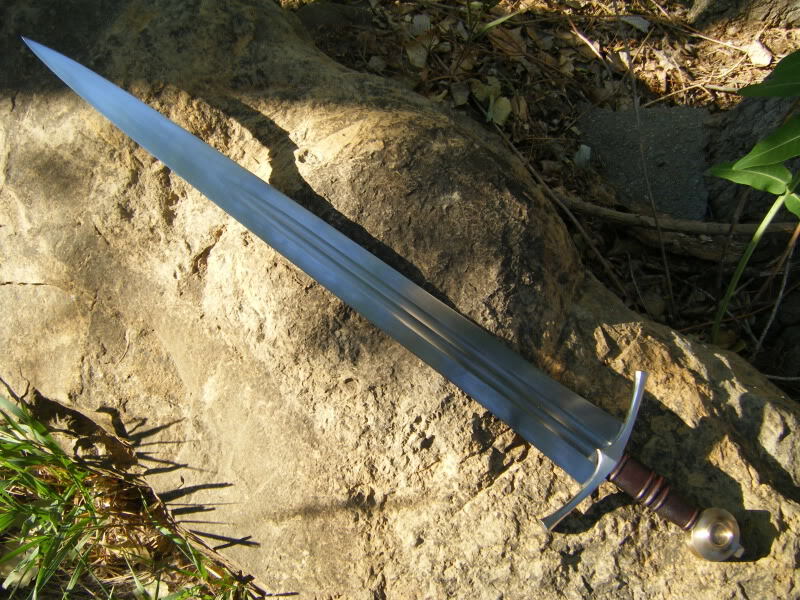 My other single-handed medievals are an Albion Sovereign and a customized Angus Trim 1557/xviii.1. I briefly owned an Albion Yeoman that I was also very fond of. 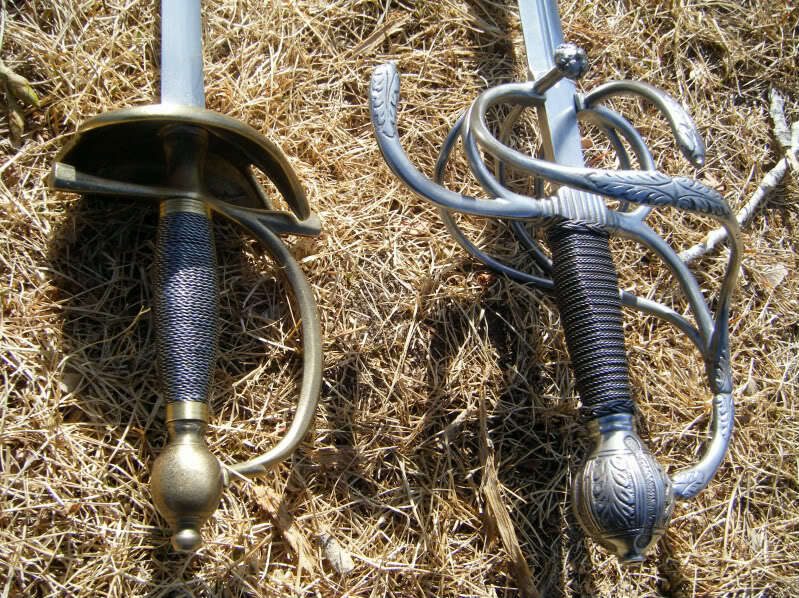 The other important single-handers in my life are an A&A German Rapier and a Del Tin French smallsword. 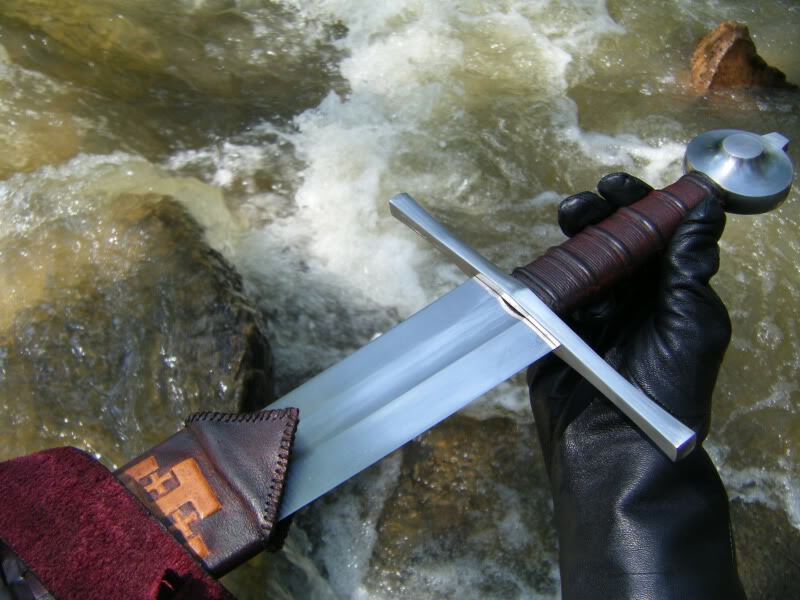 Albion Chevalier - with black & red grip.